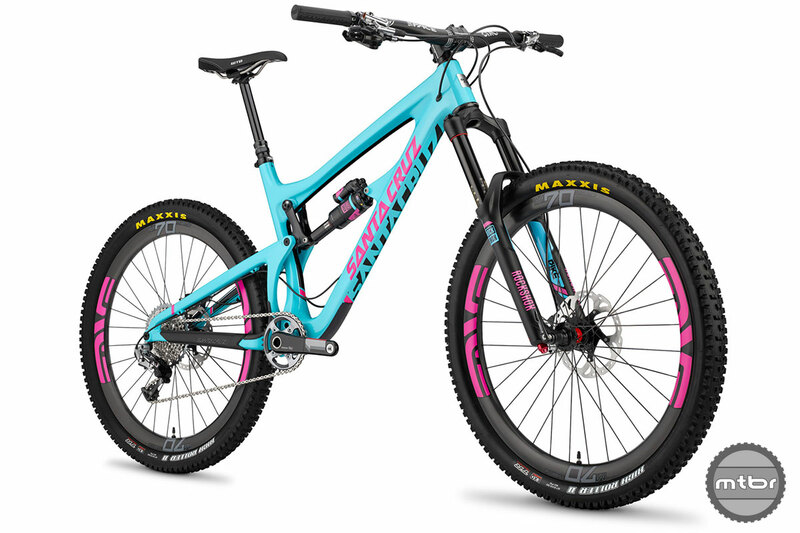 Available in a stunning aqua/magenta or a muted gloss-on-matte all-black finish, the third-generation Nomad features a reconfigured the lower Virtual Pivot Point (VPP) suspension linkage, a V10-style upper link and is 1x-exclusive—a combination of factors designed to keep the chain stays as short as possible, in this case 17.1-inches. 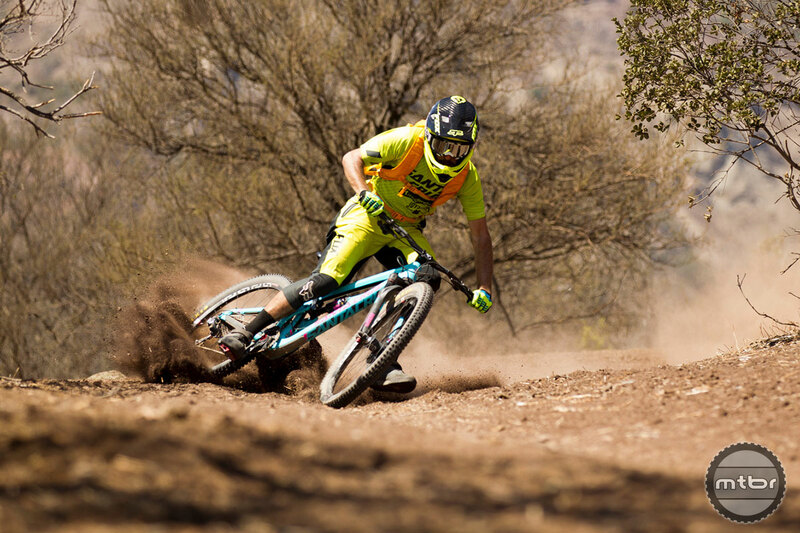 http://www.vimeo.com/90614894 Video: Worth a million words: Santa Cruz brought the Nomad to life with this video shot in Chile. The frame is designed for 160-180mm travel forks and is available frame-only with RockShox’s new Monarch Plus Debonair shock for $2,999, or with a Vivid Air RC2 shock for $3,250. Complete bikes start at $6,599 with a SRAM X01 build and go to $7,999 for SRAM XX1. ENVE’s new M70 carbon all mountain rims are available as an option and make their debut on the pimped-out version of the Nomad. 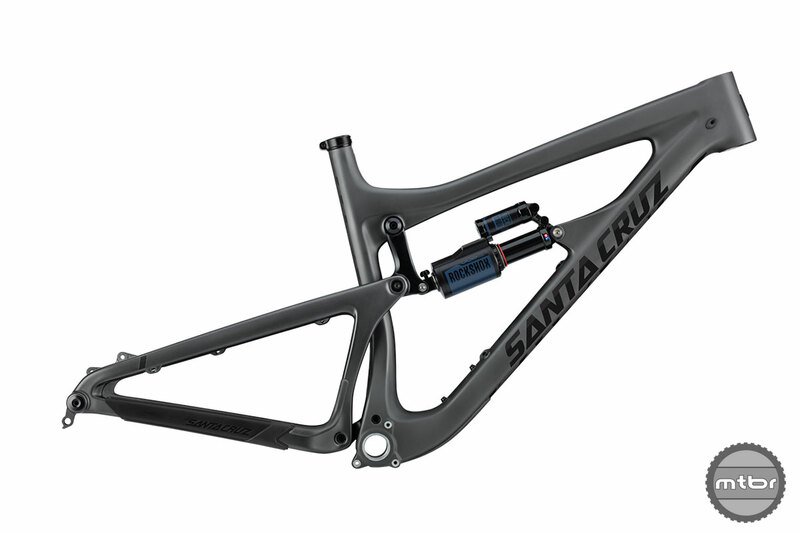 This comparison of the new 27.5 Nomad (black) with its second-generation 26-inch predecessor shows the new bike to have a much slacker head tube angle and an improved placement of it’s lower VPP linkage. Other details include semi-internal cable routing via molded carbon tube, molded rubber swingarm and downtube protectors, water bottle mounts, a threaded bottom bracket, 142mm rear thru-axle spacing, and ISCG-05 guide tabs. The new ‘Mad is the latest in the company’s sweeping move to the mid-wheel size that saw the release of the Bronson, 5010 and Heckler as well as models under the company’s sister brand Juliana over the last year. When will the aluminum version come out? Ed. please note that frame comparison overlays are easier to understand when you use the BB as the ‘same’ point. as you have it here with HT’s lined up it’s difficult to compare CS length ST length, etc….maybe try again? Thats how we do it in the industry. I just ordered the frame to build up 26″ w/ 66 up front. I totally agree with Gringo’s comments. The BB is the common contact point when on the bike. From here you can then see the reach, stack, axle drop all in context. The bottom link upper pivot location has me intrigued, thinking that this location is very similar to the DW link. I was think exactly the same thing, starting to look a lot less like VPP and more like DW Link… What does that say about VPP if Santra Cruz is copying DW? The video was silly. Not sure what that trail had to do with 160mm bikes, but the soundtrack almost saved it. Love the Yeti turquoise frame and shorts being warn. Nice, not do subtle, marketing ploy. 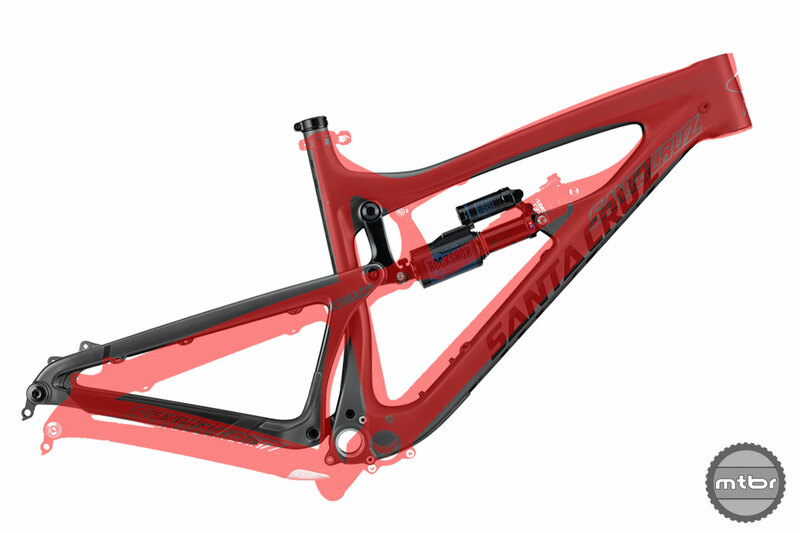 Great Video, Love the Santa Cruz bikes.